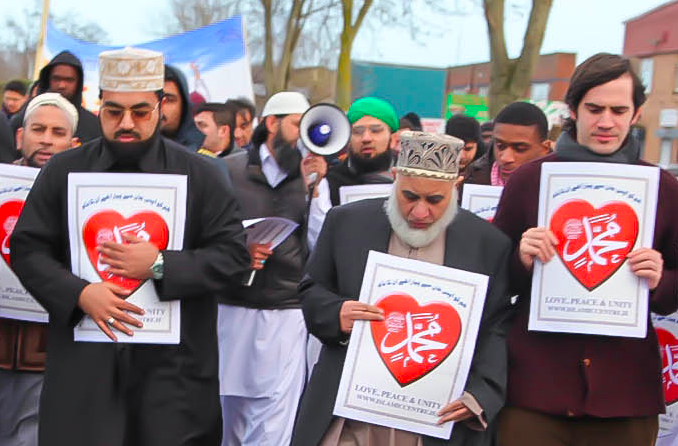 Shaykh Dr. Muhammad Umar Al-Qadri (Left) and Dr. Craig Considine (Right) marching in the Al-Mustafa Islamic Centre Ireland’s 4th Annual Peace Walk in Dublin, Ireland (2/26/13). Ms. Ruth Dudley Edward’s recent article “We should support the Pope’s crusade against Islamism” concerns us as Muslim and Christian scholars respectively. The premise of her argument is that Islam needs a “reformation” in order to make Muslims more peaceful. Edward’s draws inspiration from Ayaan Hirsi Ali, a well-known bigot who describes Islam as “evil” and calls for Western countries to wage a total war against Muslims across the world. The main flaw with their argument is that Islam is already undergoing a reformation. So-called “Islamist” groups such as Al-Qaeda and the Islamic State are the modern-day reformers of Islam. These groups oppose the 1,400 year old Islamic tradition of relying upon Muslim scholars and judges for advice and guidance in relation to matters of religion and politics. The overwhelming majority of the members of Al-Qaeda and Islamic State have no formal training in Islamic theology, and nor have many of them served in positions of leadership and authority in relation to Muslims. As Emmanuel Sivan writes in Strong Religion: The Rise of Fundamentalism Around the World, the leadership of “Islamist” groups is “composed for the most part of university students and modern professionals, autodidacts in religious matters.” Leaders such as Abu Bakr Al-Baghdadi of the Islamic State are certainly not Islamic scholars, yet Al-Baghdadi issues fatwas (rulings on Islamic law). The “Islamic reformation” that Edward’s and Hirsi Ali want is happening before their eyes. This reformation is not enlightening, but rather destructive and damaging to Islam and the world. Ms. Edwards is wrong to argue that Muslims are too rigid in their adherence to old, literal interpretations of the Qur’an. She claims that all Muslims use religious texts in the same way and that Islam is a monolithic religion. It is certainly true that some Muslims have a narrow-minded interpretation of the Qur’an or Hadith, this is because they reject the 1400 year old traditional method of interpreting the Quran which is to understand and know the historic context (maqam) of the verses. Understanding the verses of the Quran out of context always leads to misunderstanding. It is this very methodology that leads some Muslims to become extremists. But most Muslims around the world understand the verses of the Quran in light of the context. The verses of the Quran, if read and understood with the context are for Muslims a source for tolerance and respect for non-Muslims. The Qur’an states “there is no compulsion in religion,” which means that Islam stands for freedom of conscious and religion. 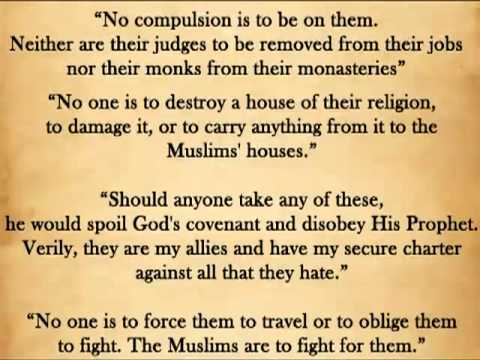 Muslims use the covenants that the Prophet Muhammad had with the Christians of the world as a means to build better relations with followers of Christianity. Under the Prophet’s rule, Christians were protected and their churches and priests treated with respect and admiration. Muhammad even allowed Christians to pray in his mosque. One of the more intellectually dishonest arguments of Ms. Edwards’s article is the claim that there are over 100 verses of the Qur’an that call for violent jihad against non-Muslims. She does not provide context or give a definition of jihad, which literally means, “to struggle.” Jihad does not have one meaning. In fact, it has five different forms including knowledge, charity, struggle for social reforms, and struggle against ones ego and struggle to defend yourself. Shaykh Al-Qadri’s website www.jihad.ie provides Muslims and non-Muslims with a much more sophisticated understanding of the term jihad. Ms. Edwards needs to carry out more research before coming to conclusions about Islam. Turning to bigots such as Ayaan Hirsi Ali will only increase her ignorance of Muslims. 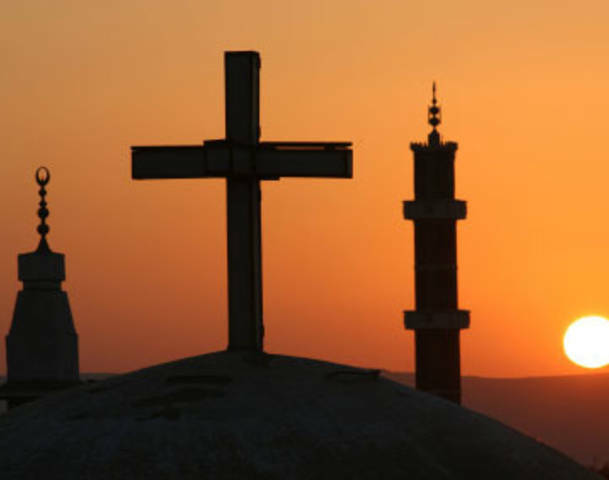 The friendship between the authors of this article shows that Muslims and Christians are not sworn enemies or locked into a “clash of civilizations,” as suggested by extremists such as Edwards. Ms Edwards ended her article by calling for a crusade against Islamist evil. We would like to end our article by calling for dialogue and a joint crusade against ignorance – the biggest evil of all, which results in terrorism, prejudice and hatred. Reblogged this on Together…Let's Break (Tear) Down Walls (Barriers) and Build Bridges of Understanding. This is dishonest and disingenuous. I’m sure you better than anybody are aware of what a false dichotomy is. Yes, Isis and other Wahhabists are responsible for a reformation, but that doesn’t mean a reformation isn’t needs on the progressive front. Currently, 6-800 million Muslims worldwide believe homosexuals, adulterers, and apostates deserve death. More than 1 in 4 Muslim-American Millennials believe the suicide bombing of civilians can be justified, while that number is 42% in France and in the 30’s across Europe. 1.2 billion believe women should live in obedience to their husbands. These are archaic, barbaric beliefs pushed by an archaic interpretation of Islam. I understand this is an Islamic propaganda page and honesty isn’t held in too high of a regard, but would it hurt to be a little bit honest?